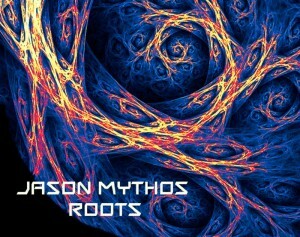 Jason Mythos returns home to his progressive psytrance roots in a quest to move both the deepest layers of being and the dance floors. Roots contains over 30 minutes of highly distinct and painstakingly produced music guaranteed to shake the speakers with driving bass lines, crunchy 303s, atmospheric synths, and old school vibes. Album production, mastering, and cover art by Jason Mythos. MP3 Download | FLAC Download | WAV Download · Download count: 3,928. Nice release. Good job sir. love it… beautifull nice oldschool trance <3 thank you :-) !!! Enjoying this quite a bit, would like to hear some more ‘pure’ progressive such as this with a more subtle, minimal approach. Yay for using breaks in the middle of “Riddick”! The drum sounds feel a bit too dry and loud compared to the rest of the sounds in the mix. Particularly that break, actually, which recurs throughout the EP. This makes it so you can’t turn it up so loud.